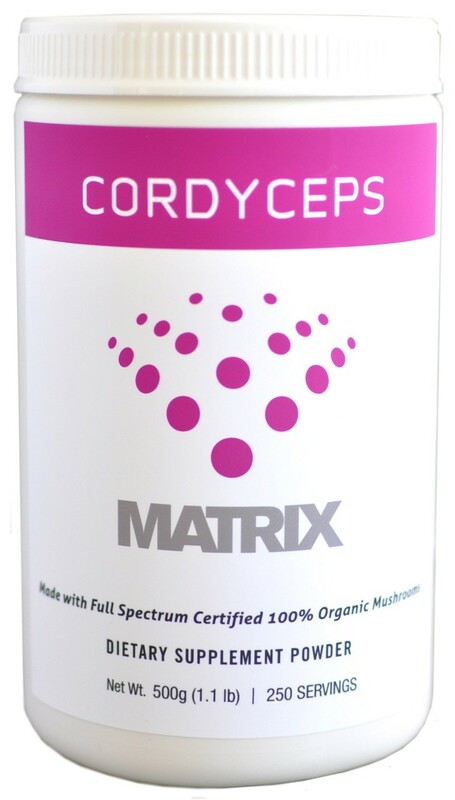 Cordyceps by Equine Matrix is the single mushroom species Cordyceps Militaris. Cordyceps has bee gaining notoriety for its ability to help improve stamina, endurance and energy levels. Cordyceps is know to help with both training and recovery due to its support for oxygen delivery and energy production. Cordyceps supplies an array of antioxidants that help to combat oxidative tissue damage from free radicals. Helps improve circulation. Improves vitality and endurance naturally by supporting respiration, oxygen delivery and ATP synthesis. Cordyceps supports aerobic endurance in athletes and research related to general vitality in senior populations gives this mushroom species broad appeal. Cordyceps is also known for its ability to increase circulation and enhance male sexual performance.